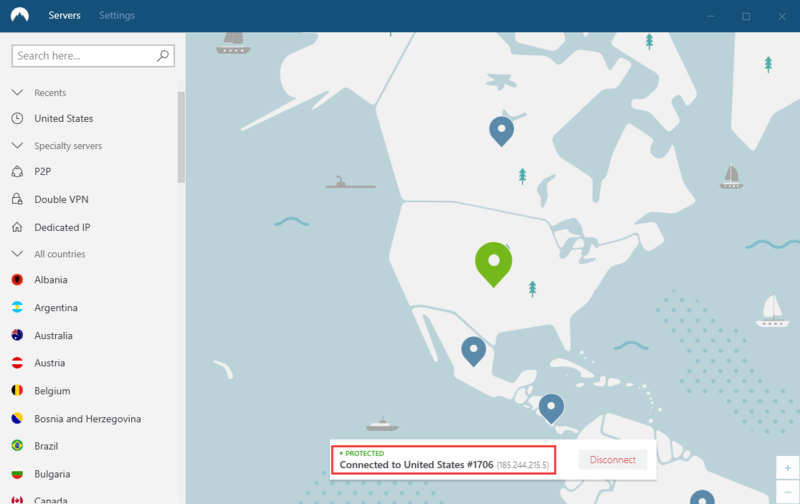 The NordVPN native application is the recommended option for connecting to NordVPN servers on your Windows PC. We designed it with your experience in mind, giving easy access to features such as Double VPN, Onion servers, and automated Kill Switch. The application uses OpenVPN, one of the best VPN protocols out there, by default. 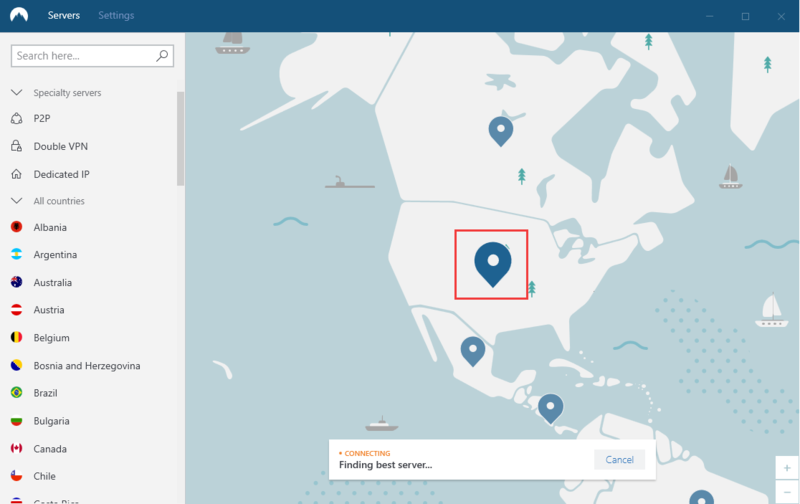 This tutorial explains how to download and install the NordVPN app on your Windows PC, log in, and connect to our servers. It also includes an explanation of various settings. Go to your Downloads folder and double-click the NordVPNSetup.exe installation file you have downloaded. A new window may pop up (depending on your Windows settings) asking “Do you want to allow this app to make changes to your device?”. Click Yes. Then the installer window will open. Click Install in the first screen. 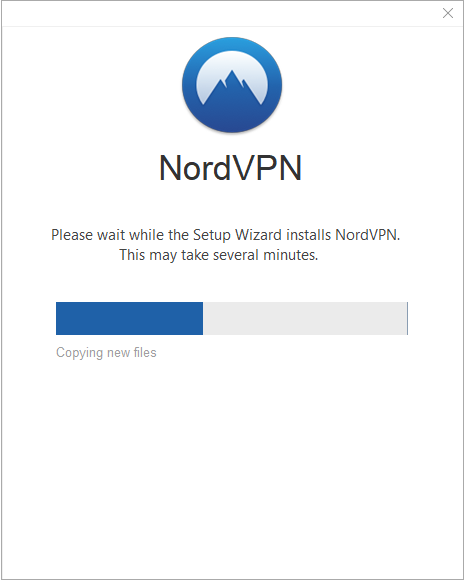 Once installed, the NordVPN application will start and appear in a new window. A shortcut to the app will also appear on your desktop. Using NordVPN on Windows 7 and later versions is easy. 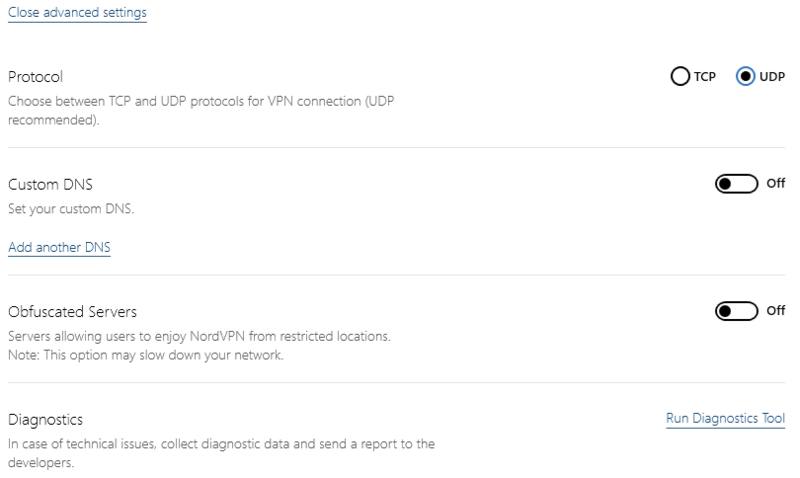 Let’s go through the steps of connecting to NordVPN for the first time. 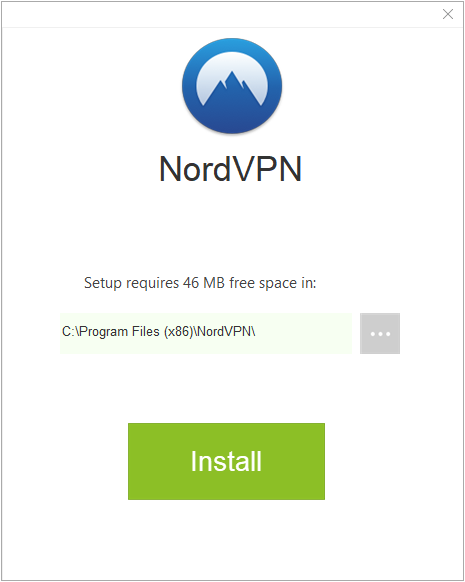 Click on the NordVPN logo on your desktop. 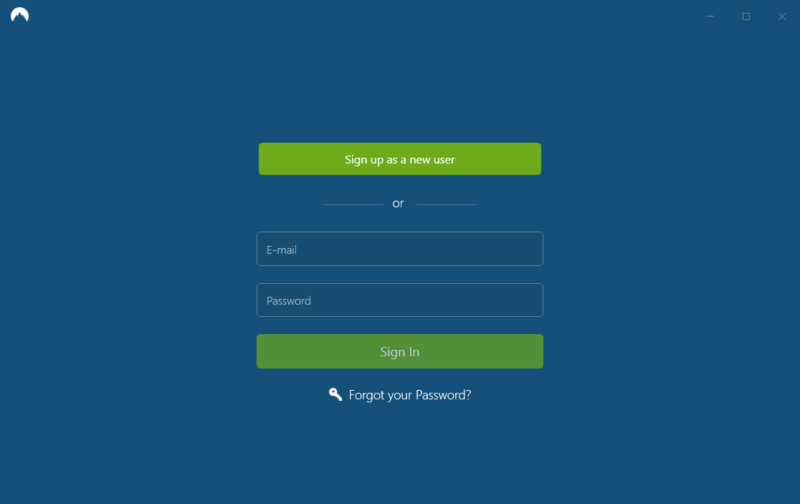 When the app window opens, wait for it to load and enter your credentials. Click Sign In. The main app screen will appear. Here you can see the server list and the map. At the top of the screen, you can navigate through servers and app settings and access server search. At the bottom, there is the Quick Connect button, which will automatically connect you to the server recommended for you. Using a complex formula with various server parameters, the smart Quick Connect algorithm chooses the best option for you at any given moment. 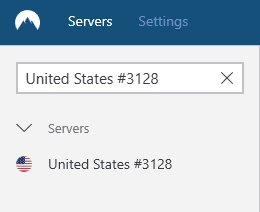 You can also connect to a server in a specific country by clicking on the country pin on the map. Once connected, the country pin on the map lights up in green. The Quick Connect status label says that you are connected and shows your new IP address. If you want to connect to a specific server, click on the Search here… field at the top left corner of the app. In the search field, enter a country, a category or a specific server’s number with a hashtag (e.g. Germany #87) to find what you need. 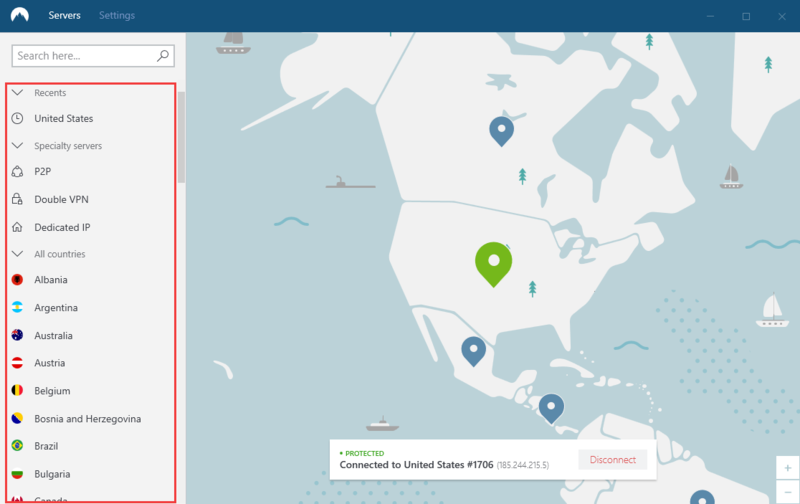 After you connect and close the app window, you can still find NordVPN running in the system tray area at the bottom right corner of your screen. It may also be in the hidden system tray area, which you can open with the upwards arrow. 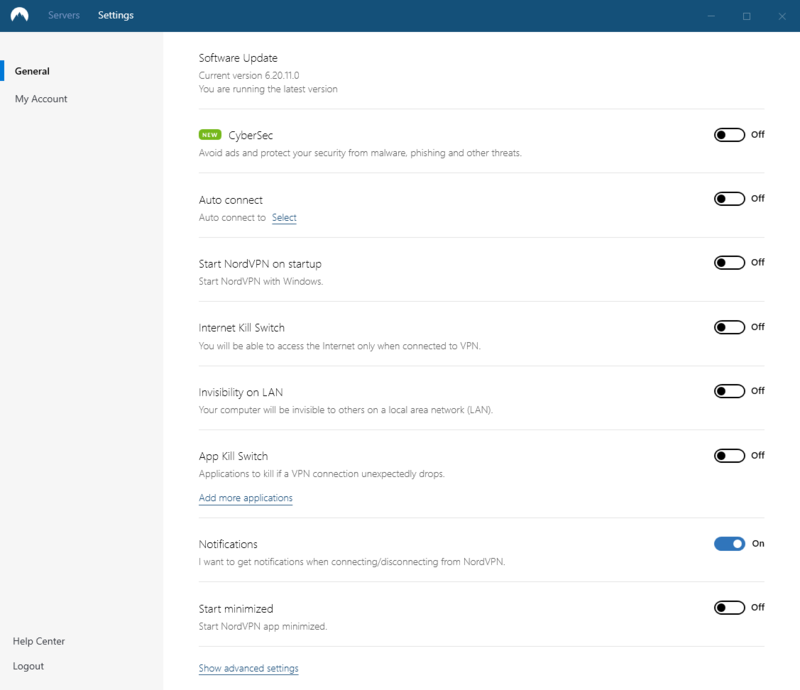 By right-clicking the system tray icon, you will have all basic controls just a click away: quick connect or disconnect, see and reconnect to your recently selected servers, open or quit the app. On the left sidebar, you can find each specific server that we offer, organized into countries and specialty servers. 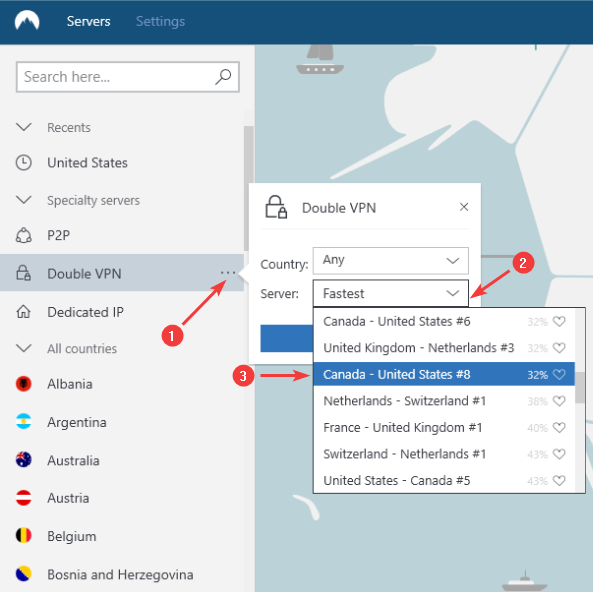 For example, we can select Specialty servers and expand the Double VPN category by clicking on the three-dots menu, and select the Canada – United States Double VPN server. You can notice that each server has a percentage next to it, which indicates the current load of the server. The more people connecting to the server, the higher the percentage. To connect to the specific server, click on it. You can also add a server to your favorites by clicking the heart symbol next to it on the list. Your favourite servers will appear in their own category, called My Favourites. You can connect to them like any other server. In the Settings tab, you can configure the application to your liking. CyberSec – Enable this setting to use our CyberSec feature while connected to the VPN. It will protect you from intrusive ads, malware sites, phishing links, and other threats. Auto connect – Enable this to connect to a server automatically when the application starts. Disabled by default. Start NordVPN on startup – Enable this to start NordVPN when you start your computer. Enabled by default. 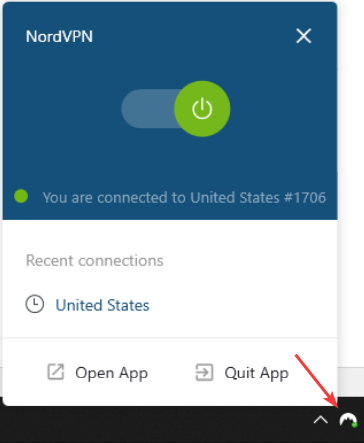 Internet Kill Switch – Enable this to have an internet connection only when connected to NordVPN. Disabled by default. Invisibility on LAN – Enable this to make your computer invisible to others on the same local area network (LAN). Keep in mind that once this feature is enabled, you will not be able to access such devices as printers connected on your local area network. Disabled by default. App Kill Switch – Enable this to terminate any applications you specify in the case of an unintended disconnection. Disabled by default. For example, you are on a public network and using NordVPN to protect your confidential Skype conversation. You can add Skype to the Kill Switch list. If your WiFi network is unstable, the connection may drop unexpectedly. In such a case, Windows will reconnect to WiFi, but the VPN connection will not resume yet. The Kill Switch will close down Skype before it can transmit any of your sensitive info on the public network, thus ensuring your privacy. Notifications – Enable this to receive Windows notifications each time you connect or disconnect from a server. Enabled by default. 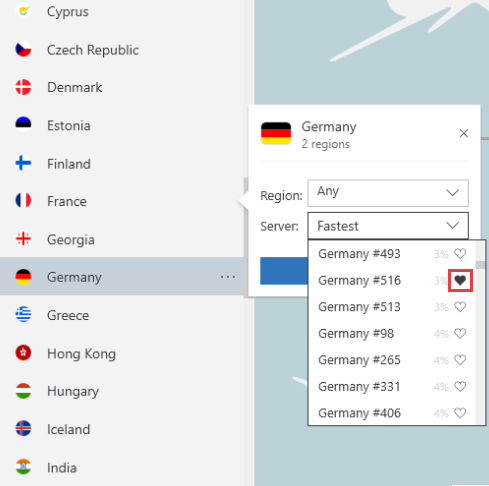 Start minimized – Enable this to display the NordVPN icon in the Windows system tray when the computer starts. This is where Windows displays applications that are running in the background. Enabled by default. On the left sidebar, you can also access your account details. The Logout button is also at the bottom. Protocol – UDP is mainly used for online streaming and downloading. TCP is more reliable but a little slower than UDP and usually used for web browsing. UDP by default. 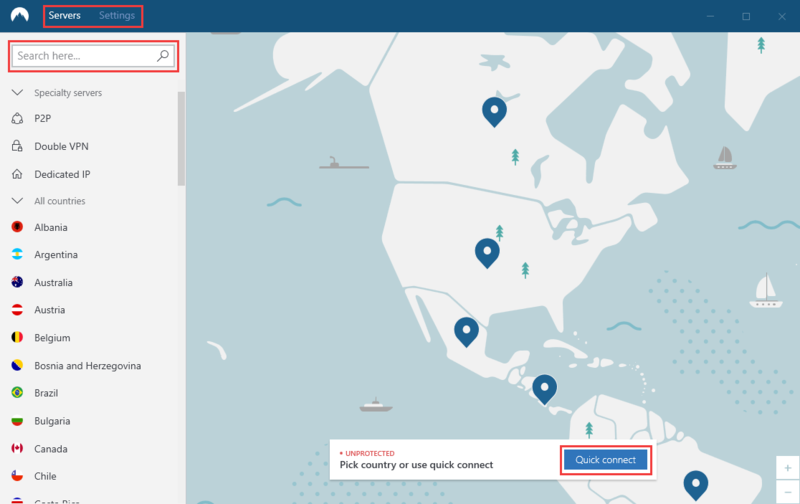 Custom DNS – Set DNS servers of your choice for the NordVPN application to use. Obfuscated Servers – Enable this to bypass the network restrictions such as network firewalls. This is also a recommended option for countries with restricted network access. Diagnostics – In case of any technical issues, you should collect the app diagnostic data and provide the ticket ID to our support for further assistance. If it fails to provide the diagnostics ticket ID, you can send the .zip file to our support.